The Center for Pre-College Outreach invites faculty and staff to volunteer at Get WISE (Get Women in Science and Engineering). 7th and 8th grade girls from the western Upper Peninsula are invited to spend the day at Michigan Tech, where they participate in a range of activities to reconnect them with the exciting, dynamic world of engineering. Participants compete in several​ challenges, which include projects like: building and testing a bridge with household materials, creating a device to travel across the room into target zones or designing a simple device that will stay airborne for as long as possible. The CPCO and WUP Center for Science, Mathematics and Environmental Education are excited to host this event once more for 250 young women. Get WISE will take place on Tuesday, Feb. 24 from 9 a.m. to 1:30 p.m. in the Wood Gym. Volunteers are needed to facilitate the activities, serve lunch and engage with the participants as role models. Please consider donating an hour or two of your time to make a difference in the lives of these young women. Everyone is welcome to volunteer regardless of department or engineering background and any amount of time is appreciated. For more information, contact Liz Fujita (eafujita@mtu.edu). The Department of Cognitive and Learning Sciences and the Department of Kinesiology and Integrative Physiology are excited to host Laurel Allender, director of the Human Research and Engineering Directorate of the US Army Research Laboratory (ARL) Thursday, January 29, 2015. Allender will be giving a presentation, titled “Human Sciences in the Army Research Laboratory: From the Bench to the Battlefield,” from 3 to 4 p.m. in the GLRC 202. Her presentation will include a glimpse into what it is like to be a scientist/engineer working in a DoD lab, and then proceed to discuss how researchers in the human sciences can contribute collaboratively to the important fundamental and applied work in human performance, human factors, simulation and training technology missions of the Human Research and Engineering Directorate. A social will follow the presentation from 4-5 p.m.
All faculty and graduate students who are interested in human sciences, particularly in those areas related to the mission of the Human Research and Engineering Directorate of the ARL, are encouraged to attend. More information about Allender is available on the ARL website. In addition to the presentation, we will be scheduling a few small group, lab meetings/tours. If you are interested in being considered for some one-on-one time with Allender, contact Susan Amato at slamato@mtu.edu. The Community Outdoor Nature Program will be holding a track-n-trail family hike at the Nara Nature Center on Saturday, Jan. 31, at 2 p.m. 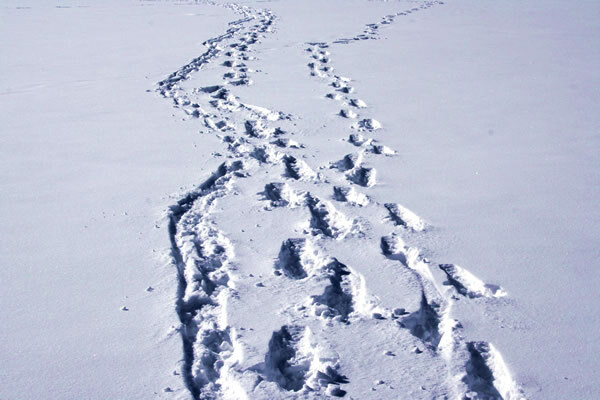 There will be an indoor activity which will have families tracking identification and animal movements and an outdoor activity where families can go on a naturalist-led hike along the Nara Trails on snowshoes. 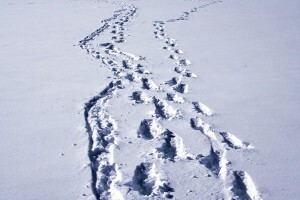 Families are encouraged to dress warmly and bring their own snowshoes if they have them. For more information, call the Center at 7-3341. This program is funded by the Michigan Association of Environmental Professionals and coordinated by the Western UP Center for Science, Math and Environmental Education and the Michigan Tech Center for Science and Environmental Outreach. Due to a generous gift from William G. Jackson, the William G. Jackson Center for Teaching and Learning (CTL) is pleased to announce the 2015 grant recipients. Nearly $55,000 in grants were awarded to instructors and teams of instructors at $1,000, $5,000 and $10,000 levels. These grants will support course/program reform or expansion projects using blended and online learning. This year’s solicitation placed special emphasis on mentoring of instructors new to blended learning, interdisciplinary collaboration, shared content, matching support, testing and assessment. A committee, assembled by the Provost and the CTL Director, reviewed many compelling grant proposals in order to select this year’s grant recipients. Associate Professor and Chair Susan L. Amato-Henderson was awarded $3,000 for Integrative Statistics for Social, Behavioral and Biological Sciences Using Blended Learning. The Community Outdoor Nature Programs are free events for families that focus on engaging parents and children in creative outdoor play and nature exploration. All families are welcome to attend the twice-monthly events held at the Nara Nature Center (Houghton) and the Maasto Hiihto Chalet (Hancock). Families will explore local trail systems and create take-home nature projects while learning about our local environment. 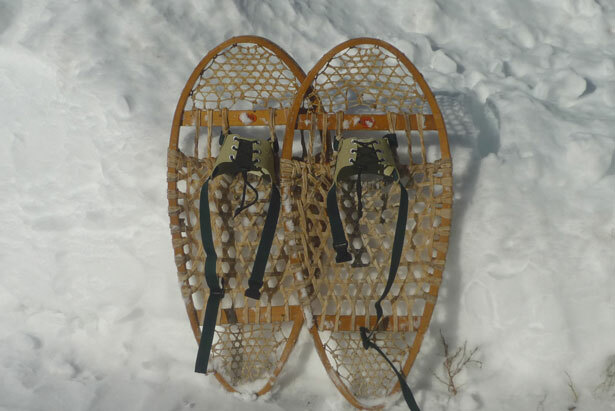 Take a snowshoe hike and weave a stick basket to collect items along the way. Programs will be held one Monday evening each month from 6:30 to 8 p.m. and one Saturday afternoon each month from 2 to 4 p.m.
During the winter, snowshoeing will be a part of all programs. Bring your own snowshoes if you have them. 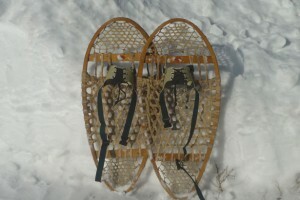 The Center will have snowshoes on hand. Dress warmly as the program will be mostly outdoors. This month’s first program will be held on Monday, Jan. 19, at 6:30 p.m. at the Nara Nature Center. Programs are led by the staff of the Western UP Center for Science, Math and Environmental Education and funded by the Michigan Association of Environmental Professionals. The Western UP Center, established in 2000, is a partnership of the Michigan Tech Center for Science and Environmental Outreach, the Copper Country ISD and the Gogebic-Ontonagon ISD, offering a wide variety of K-12 education programs to enhance the teaching and learning of science and mathematics. Find out more online or by calling the Center at 487-3341. As part of the 2015 Green Film Series, there will be a showing of “The Human Scale” on Thursday, Jan. 15, at 7:00 p.m. in G002 Hesterberg Hall (Forestry building). Based on the work of famed architect and urban planner Jan Gehl, the film highlights real solutions that promise a more humanistic dimension to cities where people are not displaced by congested streets, skyscrapers and the car-centric urbanism of the 1960s and ’70s. There will be a discussion following the film facilitated by Nathan Miller of the Keweenaw Land Trust. The event is cosponsored by the Lake Superior Stewardship Initiative, Michigan Tech Center for Water and Society and the Keweenaw Land Trust. Coffee, tea and refreshments will be provided by the Keweenaw Unitarian Universalist Fellowship. The event is free and open to the public. For information about upcoming events, view the complete Green Film Series schedule. 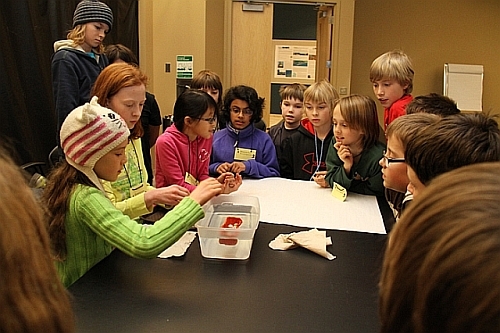 After-School Science classes begin Monday, Jan. 19, and run for six weeks. Two classes are available depending on grade level; all classes meet from 4:00–5:30 p.m. at the Great Lakes Research Center (GLRC). Cost is $75 per student, and they are open to all. To pay by credit card, call the Cashier’s Office at 7-2247. Your space is not reserved until payment is received. If you have any questions, call 7-3341. Note: the Houghton school bus will drop off students at the GLRC by 3:45 p.m.
Grades 1–3: Under Your Feet Rocks! Kids love rocks! This class will develop children’s observation skills by having them examine the characteristics of different rocks. They will then investigate Earth science concepts, such as different landforms, what is the Earth made of and how do volcanoes work? They will compare the erosion of different materials, mine for chocolate chips, look at material reuse/recycling, compare the texture and other characteristics of different soils and go on a dinosaur dig. Kids will experience the fun of chemistry without balancing equations or learning all of the periodic table elements. Instead, they’ll create chemical reactions, where gas is released, a new substance is formed or heat is produced. They’ll make observations about differences in density, make a red cabbage pH indicator to measure how acidic a substance is, investigate characteristics of liquids and solids and solve a mock crime using chromatography.